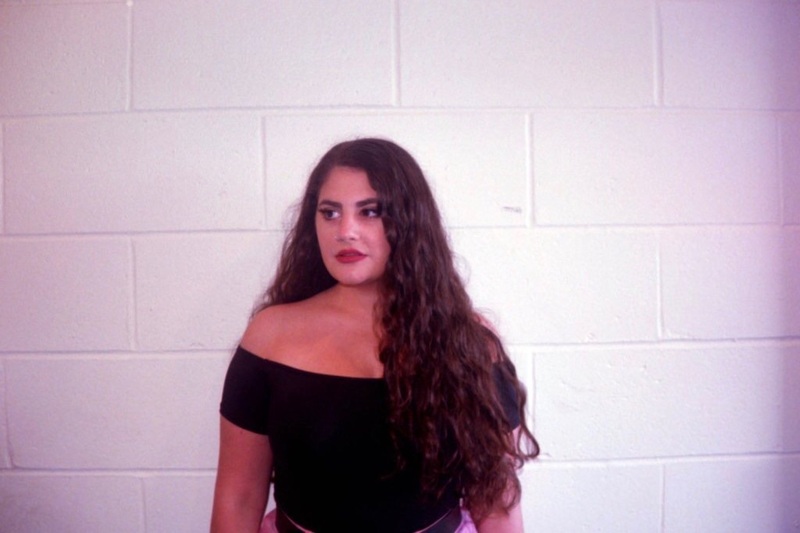 An Interview With The Newcomer Pop Singer, ELESA MARMO! Meet Elesa Marmo! Originally from Long Island, NY, the newcomer’s debut self titled EP was just released on January 26th. This is her first time releasing solo music, effortlessly switching between acoustic ballads and electronic pop-infused tracks. Happy New Year! Thanks for your time today! Where does this interview find you? Hi! Happy New Year! I’m just at home today relaxing. I’m off from work today so I’m at home in bed with my 3 dogs. Overall, how do you think 2017 was for you and your career? What are you most excited about for this year? Did you make any New Year’s Resolutions? Care to share them with us? This was the year I decided to bite the bullet and just write and record and try and make my dreams come true so this was definitely an important year. I’m excited to start performing these songs and getting out there and showing the world what I have to offer. I’m so bad at New Years resolutions I never know what to make them so I unfortunately don’t have one. I have always wanted to perform and I remember just watching my favorite pop stars on tv and just wishing I could be like them. I always try and remember if there was ever a specific moment and I think I’ve just always loved singing and I would be in theater as a kid as well so I think it’s always just been there. I grew up in a small town on Long Island, New York called Miller Place and I still live here. I think of course being so close to NYC has always been inspiring because it’s such a big iconic city and so popular for the music industry. I am the only singer in my family and no one else has ever really been involved in music so it is kind of odd how I ended up this way but I’ve been influenced by my parents music taste especially my fathers. His favorite band is Fleetwood Mac and I absolutely love Stevie Nicks she has always been an idol of mine. What was it like just recently releasing your debut self-titled EP? Did anything surprise you about the overall process of putting together something like this? How long have you been wanting to make this EP and release it? It’s so exciting! It’s the first piece of art people will hear from me so it’s very overwhelming to see people’s reactions to it. I was more just in awe rather than surprised of just putting together songs and working with my producer Greg Almeida (from the band VISTA) who is such a talented musician and writer and we just had the best time making this EP. I have been thinking over the idea of releasing something probably for about a year and in July I started writing and recording with Greg so it’s been a long time coming. While it may be difficult, can you pick out a favorite song or two from your EP that you are particularly excited for people to hear? Each song is so different and special to me and personal so it’s hard to pick but I think Bottled and Square One as just so fun and I think people will really like them and hopefully dance to them so I’m excited to hear reactions from those. Do you have plans to release any music videos for any of the songs on your EP? Are you excited to get started on that part of it all? I’ve been thinking of ideas for possible music videos so hopefully soon I can try and put those together and I’m so excited about that! I’ve never been in a music video so that will be very new for me. How important has social media been to your career so far? Do you try to stay active on your sites? What has been the hardest part about that and staying connected to everything? Super important. I’m always on social media so when this EP came out I was all over the sites trying to promote it. I think the hardest part is just trying to reach as many people as you can and trying to draw attention to the music that’s always tough because you just never know how it will do. I don’t have specific dates yet I’m still working out some things but sooner than later! Where do you find that you at your happiest- on stage performing, in the studio recording music, writing songs or elsewhere? I love all of it so much because I just am in love with music. I really do have a soft spot for writing and recording though there’s just this intimacy that’s so great and I love being able to create. We are living in a crazy and at times rough world right now so I am curious how you think being a musician gives you the most joy in life today? How do you think that your new music is going to reflect these difficult times? It keeps me sane being able to write how I’m feeling so it keeps me happy just being able to create. I have always been super honest and vulnerable so you’ll see that in my music. Stevie Nicks!!!! But I also am a huge Miley Cyrus fan I love Lorde as well and Ed Sheeran. I just hope that they can relate to the emotions and be able to feel something from it whether they dance to it or cry I just want them to enjoy the songs mostly that’s all I ever want. I just write from situations in my life so however people interpret them that’s great. Is there anything else that you would like to share about yourself or your music with our readers? Thank you for having me! I just hope you enjoy the songs and dance and know that my heart and soul was put into these tracks and I’m excited to see what’s next! An Interview With The Funk Band, LETTUCE, On Their Latest Miles Davis Inspired Album! An Interview With the Alt-Rck Female-Fronted Band, WE’RE NO GENTLEMEN!